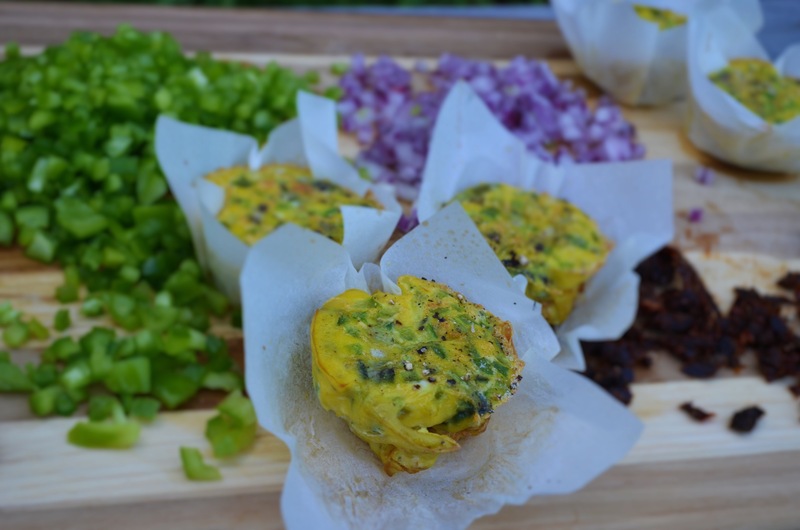 Egg and veggie quiche cups to GO! Optional: Add 3-5 drops of hot sauce into ingredients before baking. Line muffin tins with parchment paper, Or simply use a nonstick spray or muffin liner. Fill each cup 3/4 full. 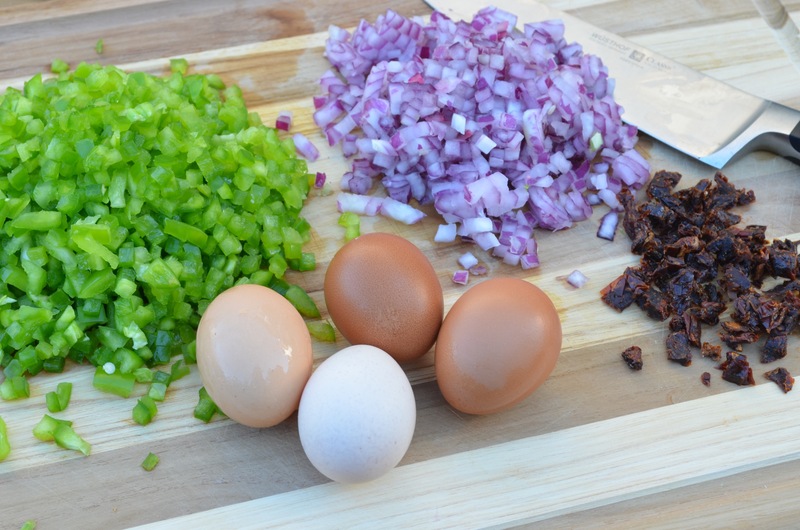 This should make a full 12 quiches exactly. Bake for 10-20 minutes until toothpick comes out clean. Wow. We had this for dinner tonight and it was SCRUMPTIOUS! 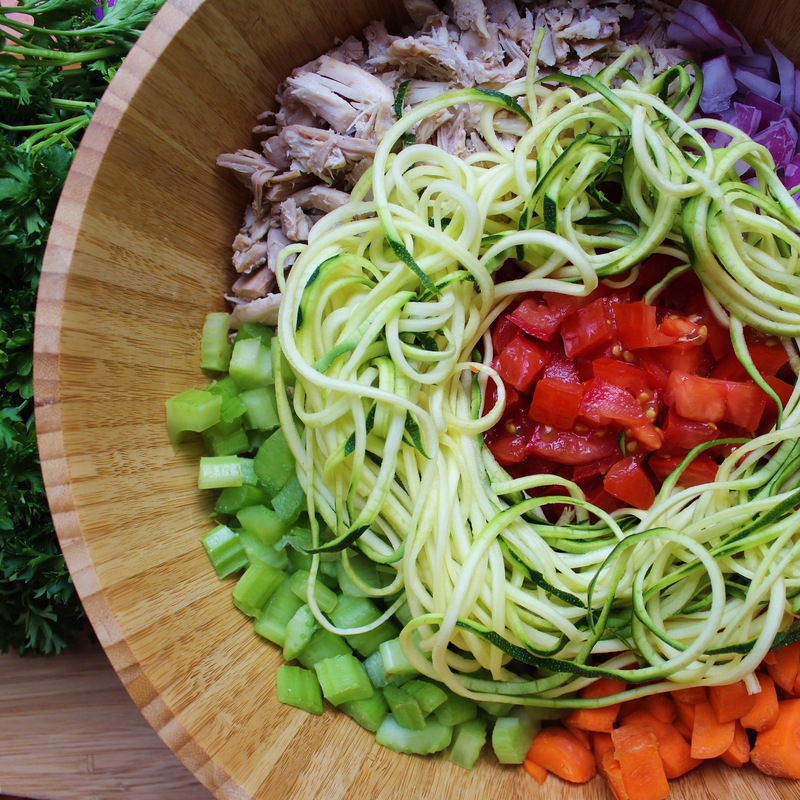 All veggies are chopped using a chop wizard, and the zucchini is spiralized. Ingredients : 8-10 c chicken broth. 2 c carrots, 1 1/2 c onion. 2 c celery. 3 garlic cloves. 2 zucchini (spiralized). 3 c chopped chicken breast or thigh. 4 Roma tomatoes, chopped. Fresh parsley. Salt. Garlic salt. Pepper. Purée together on high until warm. (Makes an “orange” broth. It will be frothy. It’s okay- it will disappear. 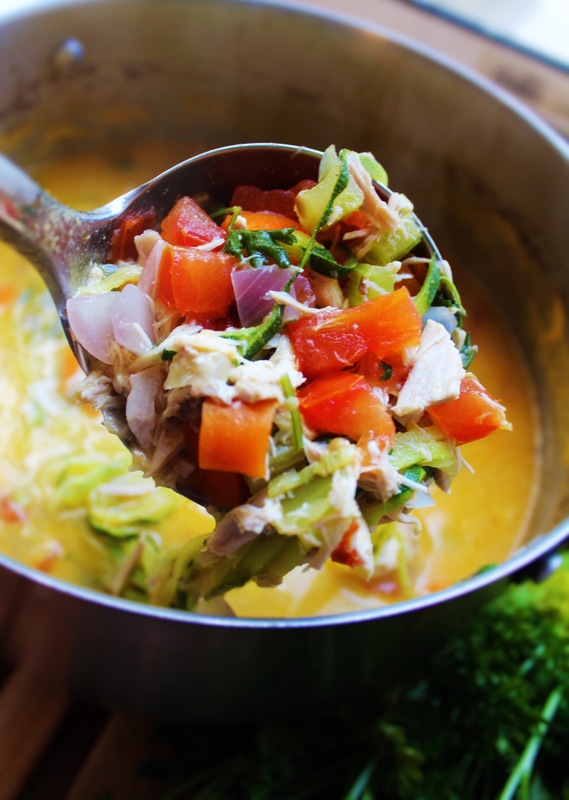 Combine puréed mixture into a soup pot and add 8 cups of chicken broth, 1 1/2 c carrots, 1 1/2 c celery, and 1 c chopped onion, remaining tomatoes with 3 cups chopped or shredded chicken (Use baked or grilled breast, thighs, whatever your preference is. For this I used a chicken I had baked, then boiled the rest for soup base.) Bring to boil and simmer on low until veggies are soft. I like my soups chunky and my veggies not overcooked! Add a tsp of Himalayan sea salt, several grinds of a garlic salt mill and pepper to taste. I like to add some fresh parsley and the spiralized zucchini last so that it cooks only to just soft. And serve. Leftovers: store in a mason jar for freshness throughout the week. Terrible things happen to good people. How to naturally treat acute or chronic bladder infections and kidney issues. 6 Steps to making lasting changes: Why do you do what you do?